In this app multiple statistical estimator can be found, which all have another origin and based on different assumptions, but they all have the purpose to estimate any variable (product revenue, personnel cost, liabilities and so on) based on historical data. Many firms could benefit from using this app. By optimizing forecast number with accurate estimators, firm costs will decrease heavily. With more accurate forecast numbers, labour can be deployed much more efficient. Firms do have to keep in mind that this app only uses historical data for its estimations and provide no information about any possible future events that can induce any positive / negative shock in any time series. Combining the inside knowledge within the firm with an associated possible future expectations and an optimal statistical predictor are the keys to successfully predicting any forecast data with a certain accurately. Data check if actual or forecast data is (partly) missing or outliers are present. A confident interval is a range of values (with a upper and lower bound) where the estimation will fall into with a certain probability. The linear regression approach provides a straight line while minimize the squared sum of all the deviations from the actual data (CIs included). Selecting type of Moving Average Estimation and choosing values of the parameters, which will influence the forecast line and associated performance. Selecting type of Exponential Smoothing Estimation and choosing values of the parameters, which will influence the forecast line and associated performance. Optimal parameters for all three types of Exponential Smoothing with corresponding performance, which are used in previous screenshot. Prior data check to make sure that the data can be used to forecast. An overview of the checks can be viewed and if needed data points can be overridden. A confident interval is a range of values (with a upper and lower bound) where the estimation will fall into with a certain probability. In this method, a whole interval of acceptable values for the parameter is given instead of a single value, together with a likelihood that the real (unknown) value of the parameter will be within the interval / range. Datapoint outside this CI will considered to be outliers. Simply said the linear regression approach provides a straight line while minimize the squared sum of all the deviations from the actual data. There are three types of Linear Regression. The Historical Average Estimation is the average of all known historical values. The historical Average Estimator has a nice smoothing effect. For decades, econometrists are trying to develop valid estimations to perform out the historical average estimation on estimating stock prices, since it is a quite solid measure in that particular field. Moving Average is simply the average or weighted average of a fixed number of most recent past data. We distinguish three types of moving average estimation: unweighted moving average, weighted linear / exponential average, where on different ways the more recent data points get more value within the calculation. Also, optimal parameters for maximizing performance are calculated. Exponential Smoothing is a technique for smoothing, set a trend and correct for seasonality within time series. We distinguish three types of exponential smoothing: simple, double and triple. Also, optimal parameters for maximizing performance are calculated. For all estimators, the performance (R^2) is calculated for any parameter set. This an universal performance measure, which indicates the percentage of variance of the product revenue that can be explained by the estimator. This way, performance of the estimators can simply be compared. Normally, it is between 0 and 1. Ideally, the R^2 is close to one. When it gives a negative value, a horizontal line is even a better estimator than the current one. I also distinguish 2 different cases for all estimators: in the first one I assume that the actuals are known, but the forecast is unknown. In the second case I assume that the actuals and the forecast data to the point-of-estimation is known. I use the two approaches, since one estimator is better suited for 1-step estimation and another one is better suited for the n-step estimation. 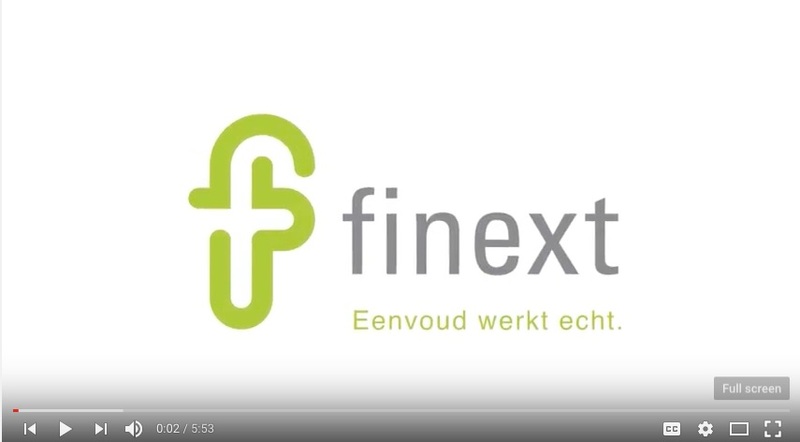 Finext is a family of consultancy companies with in-depth knowledge of industries, themes and technologies. Our philosophy is to create trust, establish links and amaze our clients in order to give ample scope to craftsmanship. This helps to take concrete action and improve the financial department of your organization.